Update: AOM scans are out. So it’s time once again for the monthlys to start appearing. 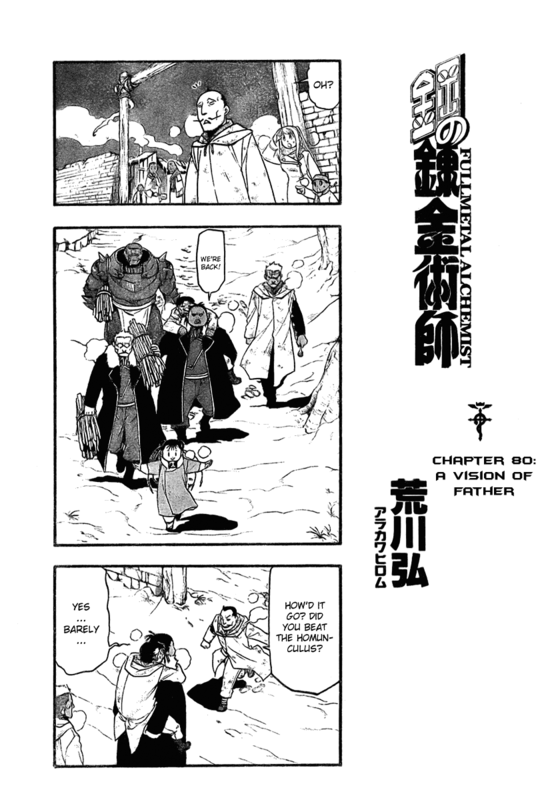 FMA 81 one raw and full transcript is currently out. We are just waiting on the clean and the scan, which will probably be in about a day or two. I’ll leave the rest of the spoilering after the click. 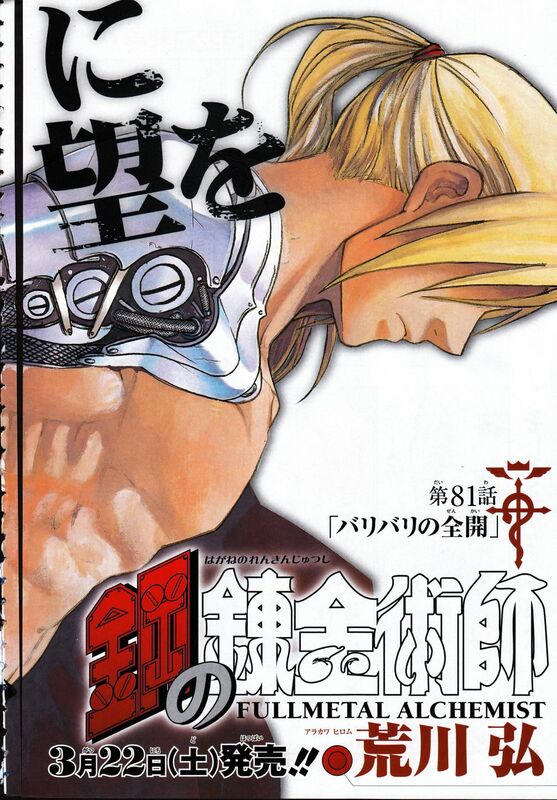 New FMA manga is out, won’t call it a bad chapter but nothing really happens. But I know at least it’s not random, it is slowing reaching the end of the series. It’s sort of the like end of a battle, licking the wounds sort of chapter. People say goodbye and the story moves to a new “arc/plotline”. More and more secrets of central are revealed though and Rose is back in the story, again. And of course, Ed is still nowhere to be seen.